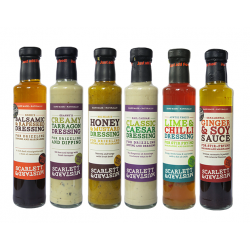 When eleven year old Ollie started selling Sandy's famous salad dressing to neighbours, little did she know her entrepreneurial offspring would be kicking-off an award-winning family business. 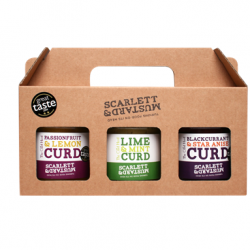 Each Scarlett & Mustard dressing, sauce, marinade and curd made in small batches to a closely-guarded family recipe. Using only the very freshest, locally-sourced ingredients and absolutely nothing artificial - this range is as versatile as it is delicious. 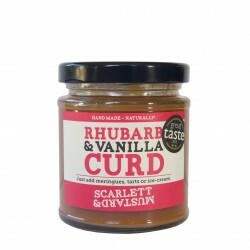 With no less than nine Great Taste Awards and stockists including Fortnum & Mason, Scarlett & Mustard are certainly going places.